I meant to post this earlier, but I never got around to it. I’ve got Dahlias, Marigolds, Zinnias, and Red Basil. I also have Nasturtium, but it seems to be sad, so I just didn’t take any pictures of it. It looks too sad! 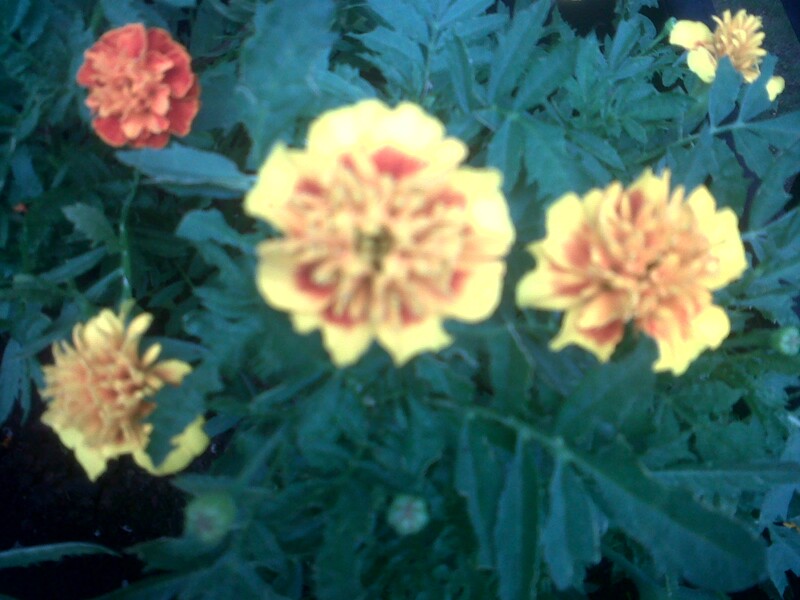 MY Marigolds started blooming, and they’re great, but my Dahlias and Zinnias haven;t flowered yet. I’m going to blame this strange summer we have had in Minnesota. It didn’t even warm up until the end of June, and then it got really hot for two weeks, and now it is cold again. Very strange weather!